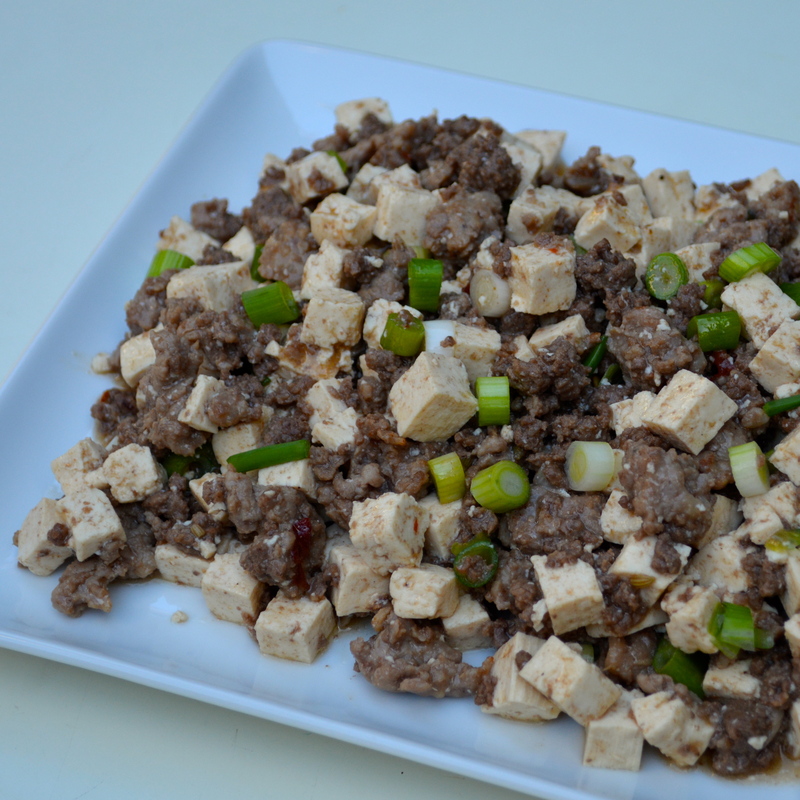 Mapo Tofu | Time to Cook! Think of this as an Americanized version of a Chinese stir fry — tasty and only takes 15 minutes to prepare. What’s not to love? Also a good excuse to use up any ground beef and/or pork in your freezer (before it sits in there for too long!) Serve with brown rice and put a bottle of Sriracha at the table for those who want more heat. Recipe slightly adapted from Food and Wine; contributed by Chef Kuniko Yagi. 1. Heat a large skillet until hot. Add the oil, followed by the beef and pork. Season with salt and cook over high heat, stirring and breaking up the meat, until crumbly and lightly browned, about 3 minutes. 2. Stir in the chile­-bean sauce, hoisin and soy sauce and cook, stirring, for 3 minutes. Gently fold in the tofu. In a small bowl, whisk the cornstarch into the water. Add to the skillet and simmer until the sauce thickens, 2 minutes. Stir in the scallions and serve with brown rice.